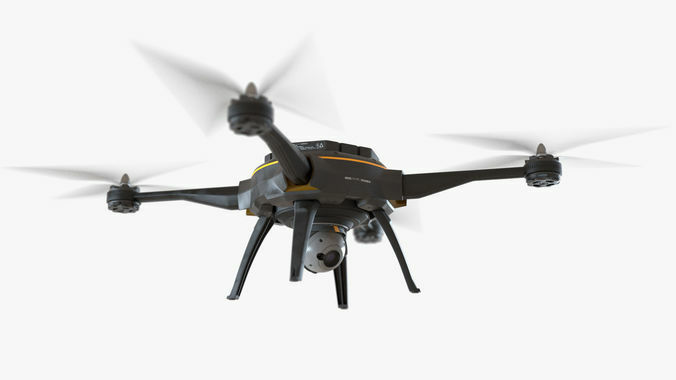 A quadcopter drone. Suitable for a variety of projects especially Sci-Fi. This is a photorealistic, fully textured and rigged-for-animation 3D product. The product comes with photorealistic V-Ray materials and textures. Included textures give surfaces appearance of some wear and tear. Also included are various glossy maps that create natural looking plastic and metallic materials. Model comes at its lowest subdivision. Render in Maya with smooth mesh preview on to keep polygon count low, or smooth the model to your preference.